Amazon’s Founder and Chief Executive Jeff Bezos, and his wife, MacKenzie Bezos, finalized the details of their divorce. 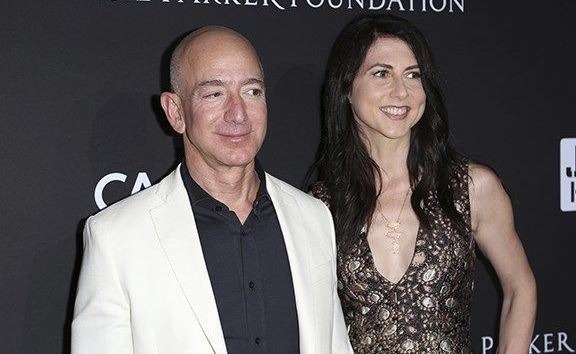 Jeff Bezos retains 75 percent of the couple’s Amazon stock and all of their ownership of The Washington Post and the Blue Origin space company, While MacKenzie Bezos wrote that her former husband will also have “sole voting authority” over her Amazon shares, according to a filing with the Securities and Exchange Commission. After the divorce, MacKenzie will own 4 percent of Amazon, a stake that was worth almost US$ 36 billion as on Thursday. By keeping 75 percent of the couple’s Amazon shares, or about 12 percent of the company, Jeff Bezos will most likely remain the richest person in the world. His remaining stake in the company was worth almost US$ 108 billion as on Thursday. The second wealthiest person Bill Gates, is worth US$ 102 billion. The complete details of divorce settlements are not in public as yet, MacKenzie is most likely to claim 50 percent ownership in properties and other assets that belong to the Amazon boss. MacKenzie wrote on twitter, that she was excited about her own plans. She has historically kept a low profile, focusing on her work as a novelist and on raising her children. The couple announced their plan to split on Twitter in early January this year, saying that “after a long period of loving exploration and a trial separation, we have decided to divorce and continue our shared lives as friends.” The news came as a surprise. Just a few months earlier they were spotted in a Miami nightclub celebrating their 25th anniversary.